Announcer: Now is the time when we take a random question from the audience! Who has a question? Yes, you there in the back, what is your name, and where are you from? Audience Member: Um, hi, my name is Cathy, and I am from Sioux City, Iowa. First of all, I just want to say, Tiff, I love your blog and I think you are the funniest person ever. I mean, EVER. Really, you are so cool. Anyway, I had a question, I noticed you have some advertising on your blog, what is that all about? Tiff: Hi, Cathy, and thank you for the compliments, you are too kind. Yes there is advertising here, I am trying to exploit my children's mishaps for a paycheck make a little money off my writing. Hey, we are in a recession, you know! There are the Google ads that rotate depending on my current content, and a new ad from Scentsy. Tiff: Well, Cathy, I'm glad you asked. Announcer: Are you tired of the same old smells around your house? 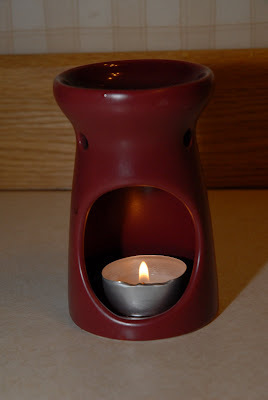 Are you worried that your unruly children will knock over your essential oil burner? Have you heard about the house fires caused by some plug in scent dispensers? If you answered yes to any of these questions, you need Scentsy! Cathy: Wow, this is beginning to feel like a commercial. Um, I just come here for stories about pee. Tiff: Well, Cathy, we wouldn't dream of using this blog to shamelessly promote a product without some form of compensation. But hey, you asked, so I am more than willing to help out. Because you, loyal reader, are my number one priority. Announcer: Let's compare Scentsy to a regular essential oil burner. Here is a traditional burner. See the dangerous flame? The tea light candles that constantly need replacing? And who can forget the constant need to blow out the candle before you leave the house? Just annoying! But wait! 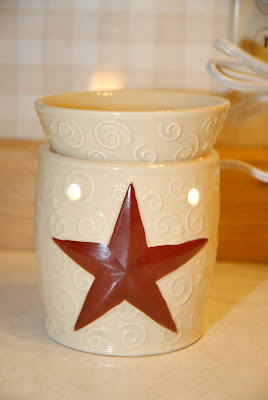 Before you give up on having a wonderful scent filled home, here is a Scentsy warmer! See the dashingly good looks? Stylish pattern? And it is simply a light bulb that heats the wax to release the sent. No danger of fire or burned children! Cathy: But it is wax, right? That is dangerous! Announcer: The wax melts at a cool temperature so there is no risk of burning! Random Audience Member: Yes, I even got some of the wax in my carpet, and it came right out! Tiff: Ha, ha, yes, Cathy, we all are. But you did ask, and therefore it is our obligation to tell you about the latest, greatest thing in home scents! There are over 80 scentsational scents to choose from, with a wide variety that warm the heart, enliven the senses, and inspire the soul. And the variety of warmers! Oh, my, don't even get me started there! Also, car candles, room sprays, the list goes on! Another Random Audience Member: How do I find out more? Tiff: Well, folks, that's the easy part. The convenient button on my sidebar will lead you straight to Scentsy's site! View the warmers, see what's new, place an order, or just browse around to see what it is all about, it's all available HERE! Announcer: No need! Why go through all the trouble, when there is a Scentsy consultant HERE? Reliable, trustworthy, honest, and oh-so-very cool, Holly Snow is the greatest Scentsy consultant around! Cathy: I have a cousin who lives in the farmlands of Whatcom county. How would I know if she would like the scents? Maybe Sweet Tea Magnolia doesn't go well with Corn Crop Fertilizer? 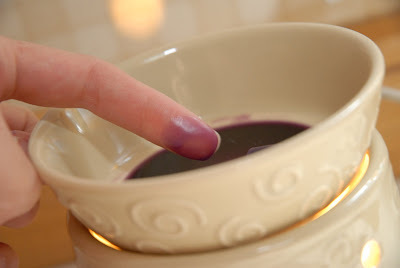 Announcer: That's the beauty of Scentsy! Your cousin can contact Holly and book a party of smelling fun, or just borrow a basket of scent samples if she just wants to order for herself! It really is that easy! Cathy: Hey, where did this announcer come from, anyway? Isn't this a blog? Why do you have an announcer on your blog, Tiff? Tiff: To promote Scentsy, of course! 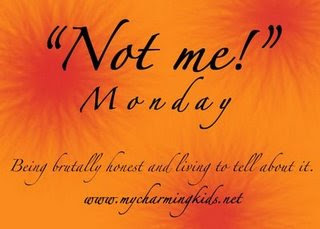 It's Not Me! Monday! time! As always, Not Me! Monday! 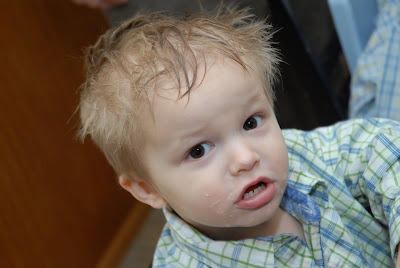 was created by MckMama, and like I said last week, MckMama's little baby son Stellan is still in the hospital with SVT (Supraventricular Tachycardia: A very rapid heart rate electrically originating on an inappropriate spot on the heart). He is not doing well at all, please continue to lift him and his family up in your prayers. This week while bathing Drew, I did NOT find several cat hairs stuck in the fold between his chin and his chest. That would be gross. A couple of weeks ago at church, I was NOT the victim of a well meaning, "So I see you are expecting again, obviously!" I was NOT so stunned at the "obviously" that I decided right then and there that I should never wear that shirt again. My very next thought was NOT that I was definitely going to have to blog about it, and I did NOT forget for two Not Me! Monday! 's in a row. I did NOT call my hubby away from volunteering on Saturday to come home and be with me and the kids before I lost the very last shred of my sanity completely. 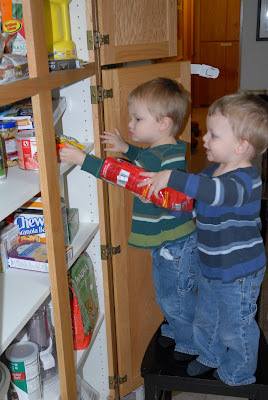 I did NOT have a few of the cutest little helpers in the world aiding me in re-organizing my pantry this week. I did NOT laugh at their attempts at organization, and delight in their willingness to give me a hand. 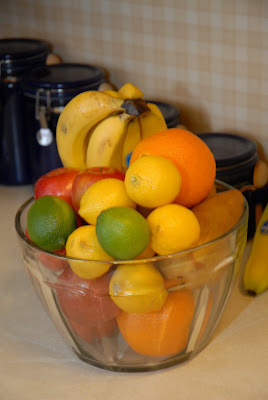 I did NOT begin to be concerned that all my hard work was going to pot as one boy would take something out of the pantry and hand it to his brother, who would put it in a different spot. I certainly did NOT give them fruit snacks(right before dinner, no less,) just to get them out of my hair. This was NOT all witnessed by the ever-adorable littlest brother, who was trying so very hard to stay awake to see all the action. We did NOT get Thai food take-out for dinner tonight to celebrate a good first quarter at Marty's work. I did NOT make my own rice to save the cost of take-out, which due to the rice shortage, now adds $10 to our order. I did NOT eat waaaaaaaay too much food and I am NOT sitting here, finishing up my Not Me! Monday! in a Thai food coma. Alrighty. So the blog re-design is underway, I am not happy with it yet, but I am working on it as fast as I can. This may take me a while since 1. My computer time consists of time when I am nursing Drew and am not caught up in his beautiful blue(ish) eyes, and 2. I am a computer idiot and I have no idea what I am doing, and I am trying to decipher HTML code. Seriously. I actually won a blog makeover a while back, but I did not know how to back up the layout and then Drew was born and I forgot about it. Cuz I am a dork like that. I actually had to google "how to backup my blog" and it took me a half hour to figure it out. So if you try to check my blog for interesting pee stories to brighten your day, and the whole thing has disappeared, pray for me and check back later. OK, now onto the real stuff. I got to go to Costco today, with just baby Drew! Yippee! It was so nice, my friend Stephana took the twins and Emma was at school, so I had a couple of hours to go into town and buy what I needed without the accompanying, "Mommy! Look! It's a barbecue, with a sink and a refrigerator!! Let's get it, that looks like a good deal!" "Gee, honey, that looks really nice, but it's not in our budget right now." "Well, if you would put back the chicken, we could get it!" And of course, the "Aaaaaaaaaaaaaaaaaaaaaaaaaaaahahahahahahahahhaha!" as the twins screech as loud as they can in an attempt to draw as much attention as possible to the Stauffer freak show a "laughing contest." I had a budget and went over it by $12. (Sorry, honey!) But I did get the twins' Easter outfits and I stocked up on a lot of stuff. Today's task will be re-arranging the pantry to hold all of the stuff in a way that I can find it. 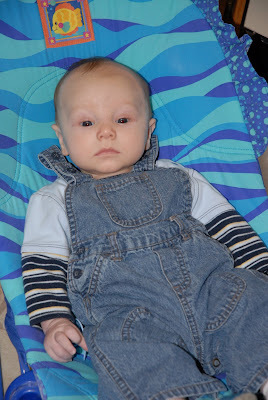 Please continue to pray for baby Stellan, there is a link to MckMama's blog in the right sidebar. 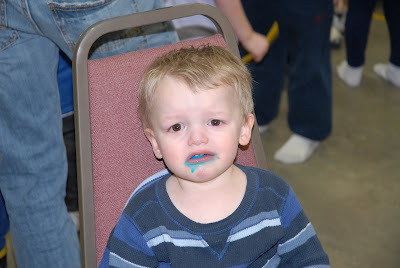 I have always heard that the further down the birth order, the less pictures a parent takes of their kids. That has definitely happened here, and I am trying to rectify that. I want to take lots of pictures of Drew so that he does not feel un-loved, or un-important, or anything. However, I have learned that the reason parents don't have as many pictures of their fourth kid does not always have to do with less time or just forgetting to bust out the old camera. 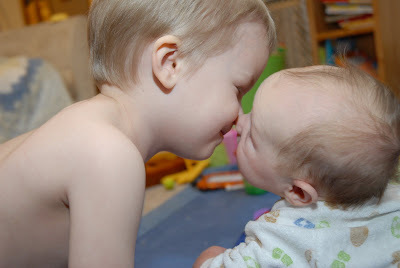 For instance, on occasion, you can capture a sweet brother-to-brother eskimo kiss, like Grant and Drew are doing here. Isn't that stinkin' adorable! That shot can happen if you can run fast and not trip over toys to get the right angle, then get them to repeat the cute action till you get it right. I decided to expand on that theme and attempt to capture a nice Ben and Drew moment. But of course, Grant was already in the picture mood and kept sticking his head in the frame at the last second and saying, "Cheese!" Which really messes with the lighting and, well, everything else. Variety is key. So when Emma wanted in on the action, "Mommy, take a picture of me singing to him! I really, really want a singing picture! Pleeeeeeease, Mommy?" I went for it. It's good to be flexible. I swear she is not taking a nibble out of his scalp. Really. That is Twinkle Twinkle Little Star, folks! And then comes the individual portraits. Of course, you cannot shoo three kids away to take pictures of the fourth, so you will end up with a child in your lap. Which make for some interesting shots as well. Yup, that's Ben's foot there. Eventually, and I thank God for digital cameras so I can take thousands of pictures to keep three, you can get some cute shots. 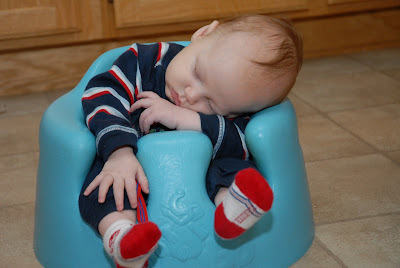 Of course, who can resist the ever popular baby-fell-asleep-and-folded-himself-in-half pictures? The key to this one is to get down on floor level and move all the large crumbs, hot wheels, piles of cat fur and crayons out of the shot first. See? There's your photography lesson for the day. Let's review, shall we? 3. Don't trip over toys or stub your toe when you run fast. 4. Have agreeable kids who will continue to do cute things. 7. Document what is going on, so as teenagers, your poor fourth child will not say, "Mom! 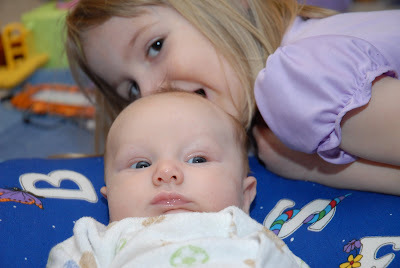 Why do you have pictures of my sister eating my head?!?" 8. Be open to spare appendages sneaking thier way into the frame. 9. Take lots of pictures. 10. Try to avoid documenting large messes that say, "I have tons of time to take thousands of pictures, but I can't lift a broom." I hope you have all learned something today! I completely missed last Thursday, since I am a big dork. 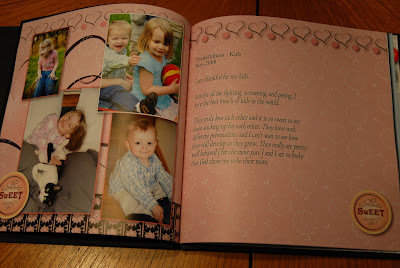 All last week was a forget-what-day-it-is week, I am lucky I was able to keep track of all my children. I am Thankful for... Being in the top 3% wealthiest people in the world. All it takes is twenty bucks in your pocket and twenty bucks in the bank. That's about all I have right now, but in the grand scheme of things, I am doing pretty darn good. I'm listening to... The twins watching Cars for the ninety-seventh time this month. ("He's got three piston cups!" "He did what in his cup?") And the sweet slurp, slurp, slurp of Drew nursing. What I'm looking forward to... Saturday. Definitely Saturday, for a few reasons. #2, Saturday is also our annual Girl's Night. We get a condo in Birch Bay, and drink eat good food, drink do our nails, drink and talk about everything till the wee hours. I, of course, have been nursing young ones for two out of the last three years, so I will not be able to drink eat really garlicky food. What's for Dinner Tonight... Tonight (Wednesday) I had a craving for something of the stir-fry variety. I could not decide, teriyaki? Cashew chicken? Lo mein? So I made teriyaki cashew chicken lo mein. Delicious! I do not know what is for dinner Thursday, my brain is full. Missing.... Sippy cups. We have three for each of the twins, and we have two of Grant's and I can't find any of Ben's. 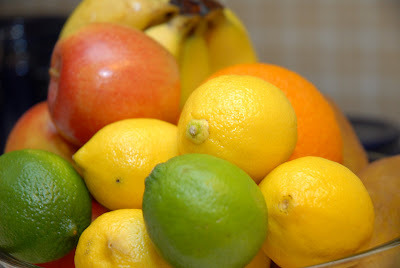 I am pretty sure that they are all either juice or water, so I am not afraid of nasty milk, but I am afraid Ben will find his juice cup and it has fermented and I get arrested for letting my kid drink moonshine. Don't forget to visit Tiffiny for the original Thursdays with Tiffiny! I actually got a shower today. I say actually because this has been a really rough week, and showers have not been a daily thing. I hate missing my shower, but sometimes it cannot be helped. Today I got out of the shower, got my bathrobe on, and came out into the living room to find Ben standing in a windowsill with a brand-new black eye. Seriously. And today was a good day. My goodness, what a week it has been. I know, I have been neglecting my blog, and I am sorry. I will try to catch up. I am all out of funny right now, so I apologize, but I knew I had better get something posted, since the "You haven't blogged in two days, are you OK?" phone calls have started. I actually have a lot to write, but not a lot of time. I have been choosing to spend my free time on other things, you know, like peeing and brushing my teeth. OK, that last one might have been a bit of a stretch. Tuesday I registered Emma for kindergarten. My little girl, my firstborn, is going to school. I thought I was ready, I thought that it was going to be fine. She goes to preschool two full days a week as it is, so it wouldn't be much of an adjustment, right? But our kindergarten had five full days, and that is a lot of time to be gone from home. She has a great personality that I don't worry about her being picked on, per se, since she can stand up for herself and communicates very well. However, I don't want her to get her feelings hut, or to get lost in the school or miss the bus stop. I know, I am probably worrying too much, but I am her mom. That's my job. She is thrilled, I took her to registration and we poked around the school a bit. "Mommy, there is a library in the school!" "Look, Mommy, there is a basketball court!" "Mommy, I smell food! There is food here!" Yeah, she is going to be fine. Yesterday she went to Awana, and came home with a brand new purple bike. She sold the most Cows and Cookies ice cream sandwiches for the fundraiser in her Cubbies group, and is thrilled beyond all belief that she won this great bike. It is purple and pink and came with a new helmet and wrist and knee pads. The kids have been taking turns all morning, the boys look really great in their diapers and pink barbie knee and wrist pads and helmet with pink butterflies all over it. My manly men. 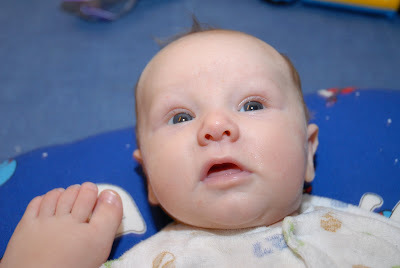 Baby Drew has been fussy lately, which is why the blog (and the laundry, dishes, and general housework) have been neglected lately. He had his two month checkup yesterday and got shots, so he is a little cranky on top of whatever has been ailing him for the last couple of days. He will not be set down, so I am holding him most of the time, and even then he cries a lot. I am thinking it is something I ate, I have been on an Italian kick lately. Goodbye, lasagna and hello, stir-fry! Emma has had some blog worthy moments lately, so I will have to post them later. For now, I have to go, as the baby is fussing. And I haven't brushed my teeth in a while. I did NOT save the empty box of my favorite girl scout cookies on the counter all week, in an attempt to subliminally convince my hubby that I still had some left and did not eat two boxes in two days. I did NOT serve dinner late on Thursday, simply for the fact that the kids were cute and cuddly and I didn't want to move to fix dinner, so I stayed on the couch till 5:30. I did NOT decide to start painting the living room while it was still somewhat snowing so that we could not open up windows to air out the house well, and ended up with a splitting headache and trying to keep the kids in the other end of the house to try to not expose them to nasty chemical inhalants. I was NOT so swayed by the really cool presentation for shower cleaner a the Home Show that I bought two bottles, and then cleaned half of my shower with glee. I also did NOT purposely ignore the other half just to see if I could tell the difference like the sales guy said. I did NOT find two leftover cookies from last night's desert, and instead of trying to split two cookies between three kids, eat them both myself at naptime when there were no witnesses. I did NOT glare at my daughter, just for a moment, when she told me that she really, really, reallyreallyreally wanted sixty-eight little brothers and sisters. I love waking up and walking out into the living room to see the sun streaming in the windows. It just fills me with joy and energy to have a super-fabulous-great-peachy-keen day. I really wanted to throw open the windows to allow the fresh air in, but the temps are still in the thirties, so that is not going to have the effect I want. We had a good morning. I got in a shower before Marty headed off to work, but there was only enough hot water left for me to get the shampoo in my hair. I skipped the rest of the shower, rinsed all the bubbles out under a freezing shower, and tried to pretend I was in a waterfall in Hawaii. It didn't work. 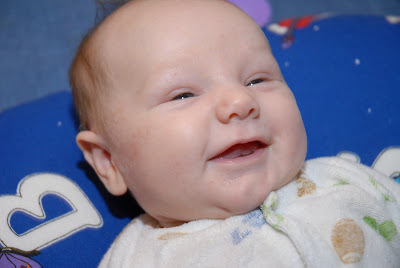 Ben went pee on the potty this morning, hooray for Ben! 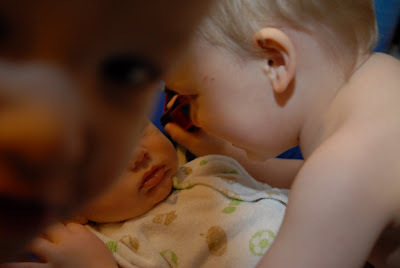 The boys had some nakey time this morning between getting new diapers and getting dressed. Ben decided he needed to go pee again, so while standing in front of the TV, he undid his diaper and peed. Luckily, the diaper did not fall off, so the pee was all caught in the diaper and not all over the rug. I think the kid might be ready for more serious potty training. Which is good, if I can get away from having three kids in diapers, but I am not ready in the whole drop-everything-and-run department. I bought a new shirt last week when I got my jeans. I was on clearance for six dollars, and it is really cute. I had been saving it for a week, and decided today was the day. When you stay at home with four kids, some things are very exciting and a new shirt is extremely cool. You don't want to waste the first New Shirt Day on any old day, it has to be special. With the sunshine and the shower this morning, this day was shaping up to be fabulous. Oh yeah, it's New Shirt Day. I got everyone breakfast and sat down at the computer to nurse Drew and start my morning computer routine. Baby Drew must have liked the new shirt, too, since he spit up about an ounce of milk on it. An ounce doesn't sound like a lot, but it is. Still not convinced? Take a shot glass, fill it with sour milk, and dump it on the front of your shirt. There. Now you know. Is it really bad that I am so excited about the new shirt that I just wiped it up and have not changed the shirt? As I type this, I realize how pathetic it really is. I am still not going to change my shirt, mind you, 'cuz it's New Shirt Day, but I am starting to think I need a life. Don't forget to visit the original Thursdays with Tiffiny, who I stole the idea from! I am Thankful for... My amazing family and my wonderful husband who despite his sarcasm and occasional misreading labels of bubble bath, is really great with the kids and the best hubby a girl could ask for. I'm listening to... The twins fighting over Lightning McQueen, just like every other day. Does it matter that we have three Lightning McQueens? Of course not. But they choose a different one to fight over everyday. Why I did not buy matching Lightning McQueens, I will never know. What I'm looking forward to... Flowers blooming, spring arriving in all it's colorful splendor. The sounds of the lawnmower, birds chirping, and frogs and crickets croaking in the pond. The laughter of the kids as they run through the yard, chasing the cat. Running barefoot through the grass (well, moss.) Planting my garden and hoping the corn actually makes it this year. And of course, painting the living room, since I still haven't started that yet. Missing.... My sanity. But we already knew that! I pride myself on saving money. We are not exactly rolling in the dough, so every dollar counts. Holly and I even joke about framing our receipts that show good deals. We are frugal, and we are proud. Yesterday I went to Target with the intention of getting shoes for the boys and undies for Emma. When your daughter has red lines on her hips from too-tight undies, you know you need to do something. I found little girl's undies on sale, 9 pair for 6 dollars, WooHoo! But only in low-rise. Are. You. Kidding. Me. Low-rise undies for a four year old? 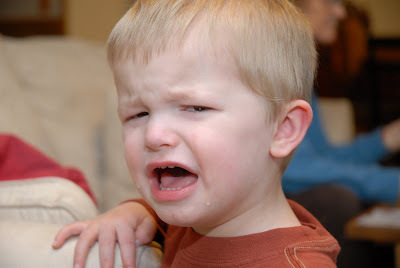 There is not a snowball's chance in Lucifer's playground that I will buy low rise underwear for my FOUR YEAR OLD. Why, you ask? Because she is FOUR. That's why. This is something I have been hearing a lot about lately, from friends and fellow bloggers. I had not quite believed it though, as I had not yet left the toddler section and bought undies in the girls section. I was shocked, and my husband was right there with me. There is no reason for our daughter to have low rise underwear, because she will not be wearing low rise jeans. SHE IS FOUR! The really hard part is, I will have a difficult time finding jeans that are not low rise as well. What are we teaching our daughters here? Why must they look like teenagers at such an early age? Why do little girls need to grow up so fast? Why can't we let our little girls hang on to their little-girlhood, where they want to marry their daddies and believe in magic? We need to let our children just be children, and to wear clothing that lets them play on the swings and catch frogs without showing their qualifications for your next plumbing job. We looked long and hard for undies with characters on them, but struggled to find any. Finally, in a far corner of the section, we found one style of princess undies. Seven pair for eight dollars. Not a deal by any means, but we bought them anyway. I purchased then with pride, even though the purchase went against everything in my frugal nature, even though I knew I could be paying less and getting more. But we were able to purchase something money can't usually buy. The chance for our little girl to stay little for a while longer. And you can't put a price on that.